You’ve worked hard to build your business and realize your dreams. But every venture, large or small, is exposed to some degree of risk. Business insurance is designed to protect your company from crippling financial losses that can result from a liability suit, a burglary or a natural disaster. However, you want to make sure you have the right policy for your type of business. 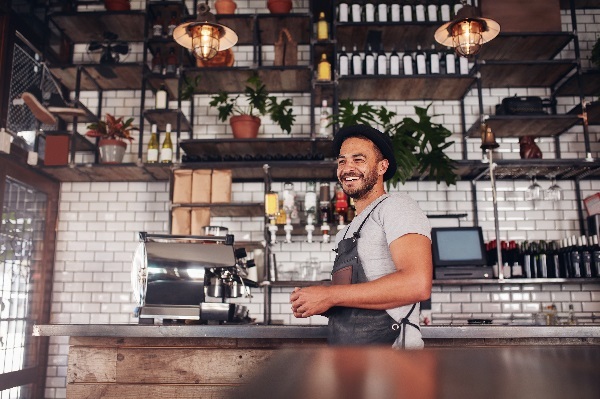 We explore some of the top questions asked about business insurance. 1. Why do I need business insurance? Consider this. What if a client slips on your sidewalk, a disgruntled employee decides to take vengeance, a flood destroys your premises, or a customer sues your business for a defective product or bad advice? Can your company afford to cover the costs associated with a lawsuit; lost or damaged equipment, inventory or supplies; or a loss of income if for some reason, you are unable to operate your business as usual? Your business needs insurance because of the many risks and potential threats to its successful, continued operation. 2. What types of business insurance are there? Liability Insurance - If you have customers come to your office, children who attend your daycare, or employees who work on your business premises, there is the potential for someone to be injured. Liability insurance would cover most of the cost of damages as well as the legal costs to defend you. Product Liability Insurance - If you sell products, product liability insurance covers your business for damages caused by a product designed, supplied or manufactured by your business. Operations Coverage - If you provide a service outside your office at customers’ sites, you may need operations coverage, which protects you from liability that could surface after you provided a service on a client's property. Errors & Omissions (E&O) – If you’re a consultant, financial planner, architect, accountant or real estate agent that sells a service or professional advice, you could be sued on the basis that your advice failed to fulfill its professional obligations. Also called professional liability insurance, E&O protects businesses against claims that arise from negligent acts or your company’s failure to provide the advice or service that was expected. Commercial Auto Insurance - If you’re in an accident while on business, your insurance will cover damage to your vehicle and your liability to others. If you typically carry business-related equipment in your vehicle, you will need to add an endorsement to your policy to cover it against theft or damage. Health Insurance - Health insurance provides health coverage for you and your employees. Business Interruption Insurance - If your business couldn’t operate due to a fire, flood or burglary, would it survive until everything is back to normal? Business interruption insurance will cover lost revenue in this case. Life and Disability Insurance - Life and disability insurance covers your business should key owners, partners or employees die or become disabled and are unable to fulfill their obligations with your company. Workers' Compensation Insurance - If you have employees, you must, by law, participate in workers' compensation programs. Workers' compensation insurance covers employees if they are injured on the job. 3. How are my business insurance premiums calculated? The markets you serve – e.g. Insurers consider U.S. customers extremely risky because companies in the United States are highly litigious. 4. My client has requested a certificate of insurance. What is this, and why do I need to provide it? A certificate of insurance outlines the insurance coverage and policy limits provided under your insurance policy on the date the certificate is issued. The certificate of insurance gives your clients peace of mind knowing that your policy meets their requirements. It is also good practice for you as a business owner to request certificates of insurance from any partners or vendors you do business with. 5. Is my home-based business already covered by my homeowners policy? That depends on the type of operations and the annual revenue of your company. There may be very limited coverage for your home-based business, but it’s best to check with your insurance broker to be absolutely sure that you are not at risk in any way. If you have customers or employees coming to your home, it is highly recommended that you have a general liability policy. The liability on your home insurance policy will not cover you if a person such as a client or courier is injured while on your premises for business-related reasons. 6. I sometimes use my personal vehicle for business. Am I covered under my auto insurance policy? No. Any vehicle(s) used for business must be properly insured for business purposes, even if you use it for personal reasons and carry auto insurance. Business insurance can be complicated. Talk to your insurance broker about a custom-built policy that ensures you’re protected so you can focus on making your business the best it can be.